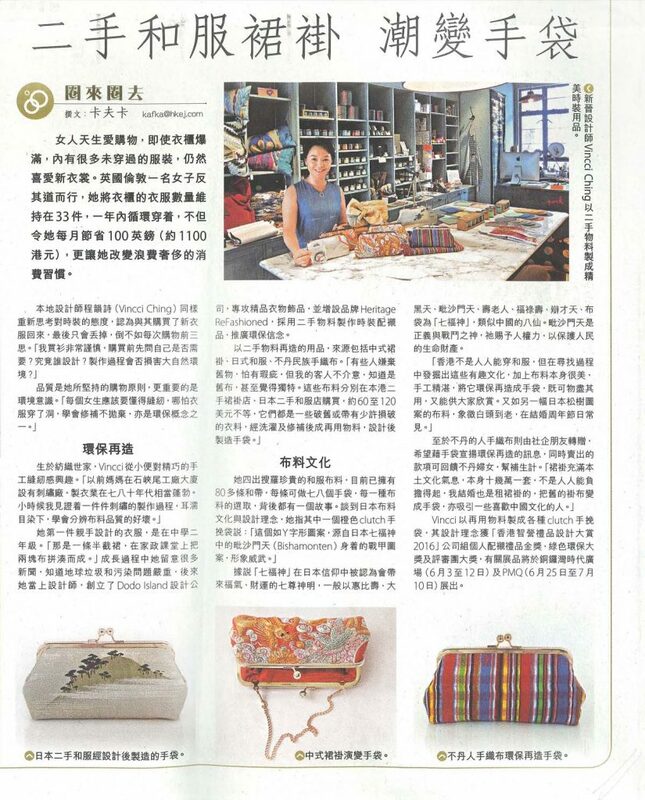 It is such an honour to be interviewed by the Hong Kong Economic Journal. To be honest, it feels very grown up as the HKEJ is a well respected business newspaper covering mainly government policies and financial news. 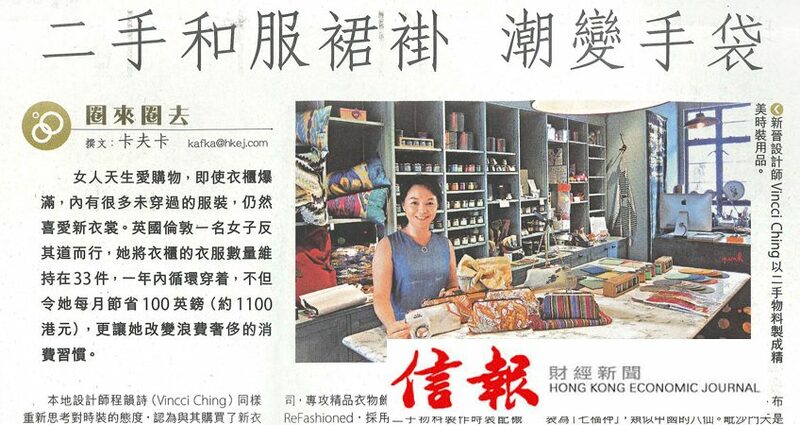 In the interview, I shared my upbringing as a child of the Hong Kong garment manufacturing gold era, my journey in finding and upcycling vintage fabric, and the research that goes in discovering the stories of each piece of textile. I hope to raise awareness that sustainable fashion is not just about being cool. It is foremost about being responsible to our planet and paying tribute to the skillful artisans who dedicated decades of their live to perfecting their trade and craft. Here’s a scan of the article if you are interested (it’s in Chinese). The photo was taken at the 513 Paint Shop, a beautiful shop filled with colors and lovely environmentally friendly products by local and international designers. A few of our vintage Japanese obi clutches are also available for sale at the shop at the moment — do check them out next time you are at the PMQ!